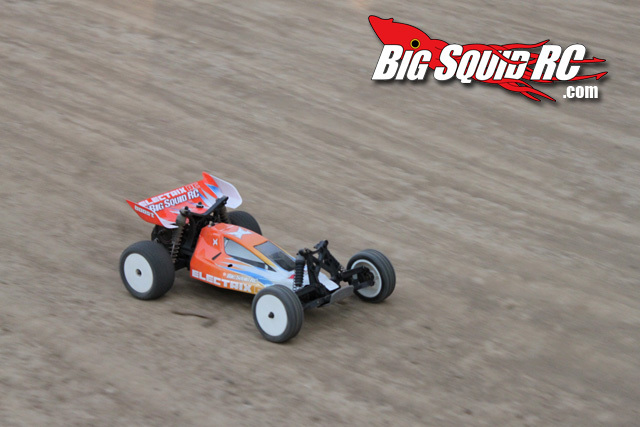 Electrix Boost Buggy Review « Big Squid RC – RC Car and Truck News, Reviews, Videos, and More! 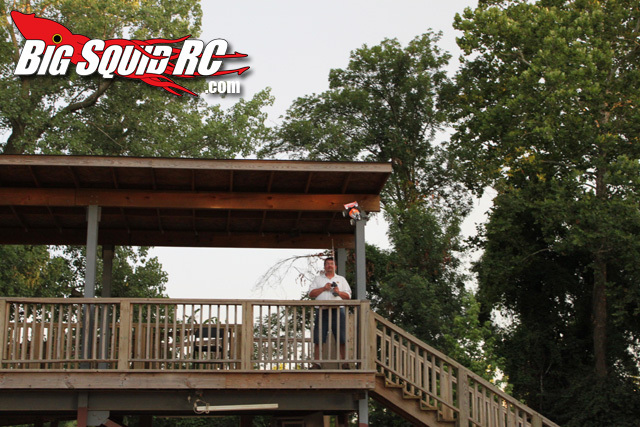 Warranty- Horizon Hobby warranties the product to be free of defects at the date of purchase. 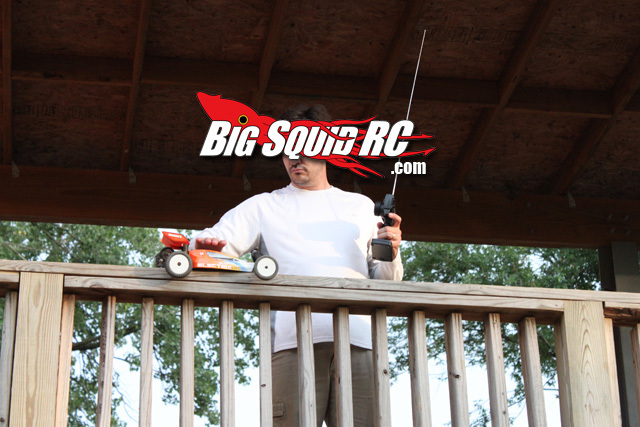 Primary Competition- Are there any other RTR buggies out there at the $119 price point? I don’t think so, so it’s in a category all its own. Although… some may compare it to the Thunder Tiger/Associated RC10 B4.1, Horizon/Losi 22 RTR, and Kyosho Ultima RB5. What’s In The Box- Everything you need, absolutely everything. Build Quality- Overall, not bad, but not without a couple snafus. Both rear tires were overtightened resulting in unwanted drag, the pinion/spur mesh was horrible, and the slipper was set far too tight out of the box, otherwise all appeared to be assembled well. At the very least check the gear mesh before you drive your new Boost, ours was a mile off. 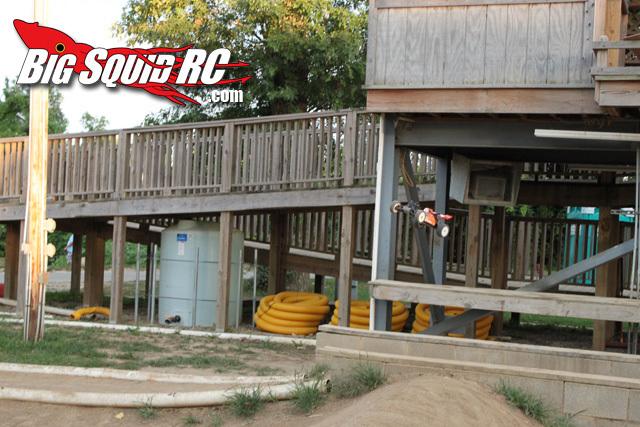 Set-up Notes- The vast majority of testing was done with the Boost 100% box stock, later in the test we drove it with a MaxAmps 2S 6500 RaceSpec Lipo equipped with a Traxxas connector. Turning- Is the Boost intended for the track or for the local parking lot? My guess is both so that’s where we tested it at. On pavement the Boost exhibited a slight push, just perfect for new drivers, yet had enough steering for us OG’s to have fun. I could not get the Boost to traction roll on pavement like many other cars/trucks are known to do. On dirt the Boost seemed to have more understeer. On a typical outdoor off-road track the Boost would push moderately going into corners, but that isn’t really a bad thing on the Boost. 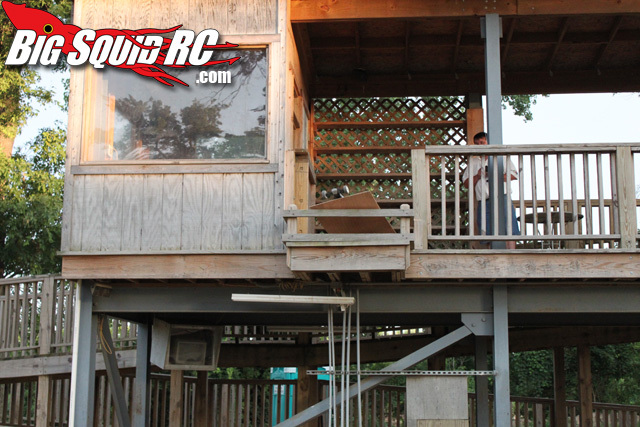 Understeer makes the buggy much more drivable for new drivers, while more experienced guys can dial more steering in. Given who the Boost is targeted at, new drivers, I’d say the steering is right where it needs to be. Jumping- The stock power system simply can not generate the rpm needed to pull the nose up during endos, but it has brakes that would make a boat anchor envious. With brakes that strong you can tap the trigger and easily bring the nose down should the need arise. Overall the Boost tends to jump level and with the right amount of planning very few mid-air corrects are needed. However, the Boost does not like landing sideways, not even a little bit, and when you land sideways you can expect it to flip on its lid. Because of the stock settings on the shocks the Boost nearly always lands like a pallet of bricks, more on this later. Bumps/Whoops- The stock geometry seemed good for the rough stuff, but those pesky shocks, not so much. The shocks didn’t leak but were over-sprung and under-damped. What does the mean? The springs were too firm, while both compression and rebound damping were too light. What does that result in? 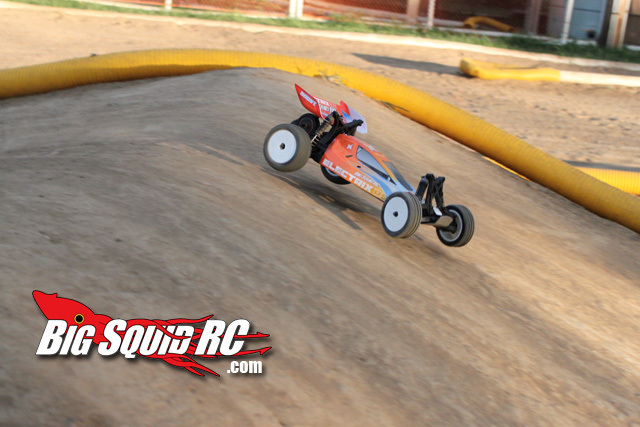 Compared to racing oriented 10th scale buggies the Boost bounces through the chop and bottoms out hard on larger bumps and jump landings. Compared to other bash oriented vehicles, it gets through the rough quite well. Broken Parts- Ummm…. how exactly do I word this? I didn’t break anything on the Boost. But… there are caveats. The transmitter that came with our Boost was DOA. I couldn’t get it to turn on so I handed it off to our staff racer guy with a promise of a bottle of Warhol Dom if he could make it work and he could not. So while we didn’t break the transmitter, it arrived dead from the factory. And before I continue I must mention we drove the Boost like we stole it from the very first pack. I smashed the Boost into every hard object I could find, crashed it every chance I got, and we jumped it off the roof of the drivers stand at the St Louis Dirtburners track (over 20 feet high), not once, but twice. The end result? Zero broken parts, absolutely none. However… we did pop off one tie-rod at the steering rack (which easily popped back on), popped a universal off the outdrive twice (also easy to pop back in), and the motor shifted a couple times messing up the gear mesh (spur gear did not strip and was easy to reset). 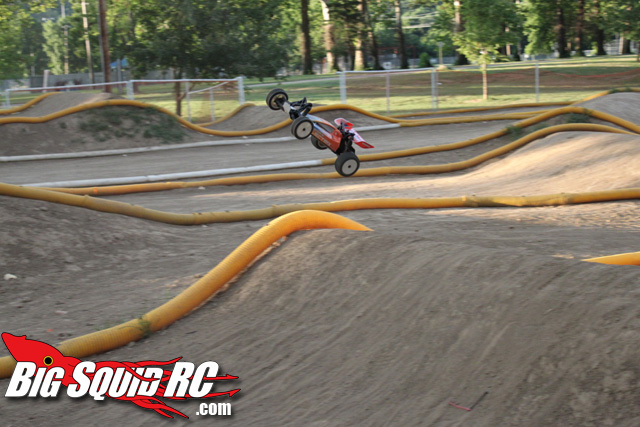 Our test Electrix Ruckus proved extremely durable and the same can be said about the Boost. The only sure way of breaking the Boost involves a 10 lb sledge hammer (and even then I’m not that sure… LOL). Best Mod You Can Do Under $5- The stock connectors are junk, I highly recommend switching over to Traxxas plugs. 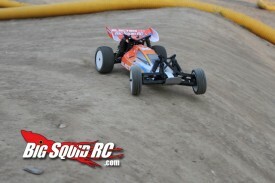 Associated 40 weight shock oil is also cheap and makes a big difference on the buggy. Best Mod Over $5- Ditching the stock 1800 mah 6 cell Ni-mh pack and switching to a good Li-po makes a world of difference in the speed department. It’s like night and day. Top speed with the included battery is right around 15 mph, which is great for a noob, but a good Li-po will give you enough power to make most of the jumps at the local track and makes general driving much more fun. When our supplied transmitter didn’t work I attempted to use my personal Spektrum gear. The stock speedo would not set-up with my Spektrum radio so I borrowed the radio from the Ruckus we tested which worked just fine. Electrix supplies extra crystals, nice touch. Even after pounding the crap out of the Boost it was not leaking shock oil, you have no idea how incredible of a feat that is. The included wall charger is s l o w w w w, taking over 3 hours to fully charge the included 1800 mah pack, that is a whole lot longer than I want to wait to drive the car, you’ll want to budget for a new charger ASAP. The included wall charger does have one thing I’ve never seen before- it comes with adapters allowing you to plug it into a wall outlet in nearly any country on the planet. Strangely it doesn’t come with the American plug on it, but it’s a quick and easy change over. Our motor slid out of adjustment twice so be sure and crank those phillips head motor screws down tight. Oh, and the motor plate is plastic not metal, definitely not good news for motor temps. The included motor puts out good tractable power on 2S Lithium, but… it looks like a fireworks show is going on inside of it. Needless to say the stock brushes are not well seated and a good water dipping of the motor should be done before you even run it. If you are like me I’d much rather pull the buggy out of the box and drive it than to spend 45 minutes breaking in the motor first. The brushed motor out of the HPI Blitz has slightly more power, doesn’t require the water dipping and lasts much longer, I sure hope Horizon starts sourcing that one. The front axles on the Boost stick out too far. 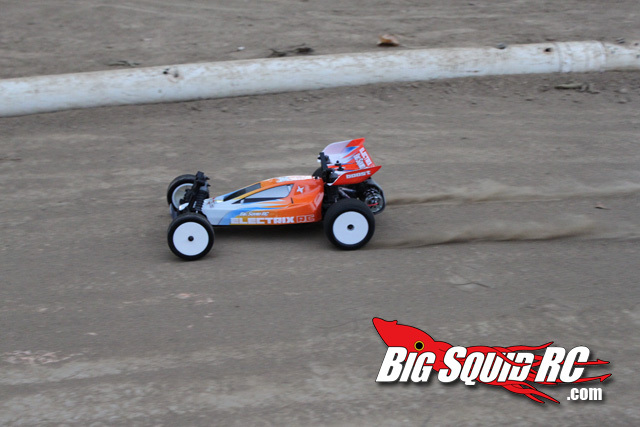 Not that it was a problem as it didn’t cause any issues, but if you are like me and used to “normal” 10th scale buggies breaking all the time it makes you worry. The included ESC has good feel going forward but can unexpectedly pop into reverse when you are actually looking for the brakes. Oh and like mentioned earlier it doesn’t like Spektrum. The included 6 cell Ni-mh 1800 mah pack worked fine. I measured initial capacity at slightly over 1900 on a West Mountain CBA and it seemed to yield the perfect amount of power for a noob, not too fast yet enough power to plant big grins on the face. The Boost may be targeted at the noob market but it has a lot of adjustments on it. Noobs can play with these to find out how they affect the handling on the buggy, while more experienced users can use them to tailor the buggy to their driving style. The stock powertrain seems to be at its limit with the included power system. 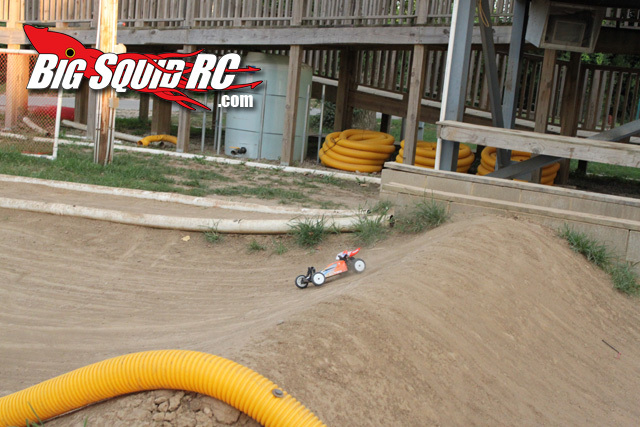 Unfortunately I did not have time to drop in a brushless system to see if the buggy could handle the extra power. The stock battery bar set-up worked flawlessly and uses no body clips, I dig it. Aftermarket 2S Lipos pop right into the stock battery tray with no issues. The included servo is quite slow, I’m guessing they measured its transit speed with a sundial, but it gets the job done. The servo saver is quite soft, but just like the servo gets the job done with no issues. The stock tires make a really cool screeching sound on asphalt just like full size tires. Oh and they work much better than you’d expect on dirt. Wear was quite reasonable everywhere we used them. Have I mentioned the Boost was a total blast to drive? There is something exhilarating about driving a buggy you are certain isn’t going to break if you tap a pipe. Pop in a battery and just haul a$#, that’s the name of the game with the Boost. As with all our stuff, if you see us at a bash or at the track, make sure to stop by and say hi, and see what we brought with us. Maybe you can take a test drive, or at the very least, get some stickers! 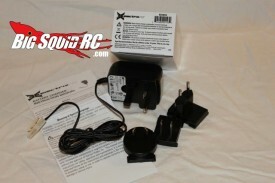 Time To Bash – 7.0/10 – The Boost is RTR and ready for action, unfortunately its 3 hour wall charger makes ya wait. Workability – 9.0/10.0 – I’m not a fan of the included phillips head screws, but overall its easy to work on the Boost. Car Show Rating – 7.0/10 – The pre-painted body looked sweet, the rest of the buggy rather bland. Bash-A-Bility – 9.0/10 – The Boost is one extremely rugged buggy, one that can take epic bashing and come back for more with absolutely no broken parts. Big Squid Rating – 8.0/10 – Tentacles. The Boost is tank tough, drives well and will put an infectious smile on your face. Oh and did I mention it only costs $119? 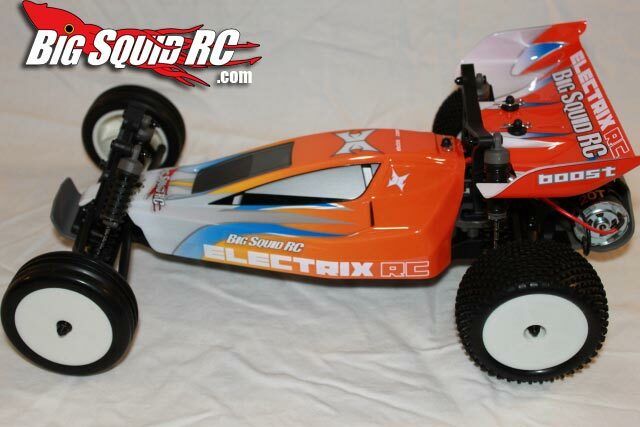 If you are looking for a buggy to beat on, or the perfect buggy for a “spec” class, I highly recommend the Electrix Boost. 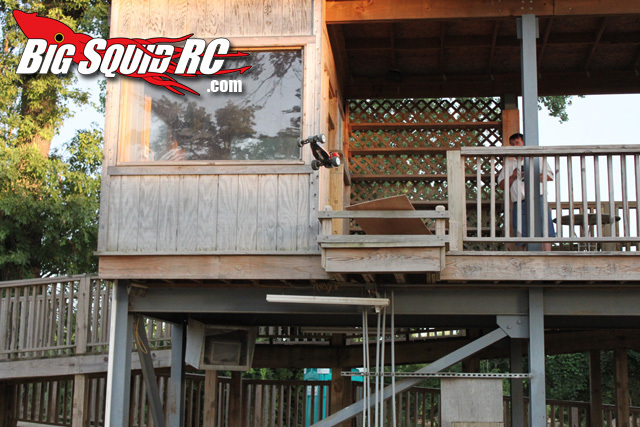 Here’s some video of us jumping it off the drivers stand roof! 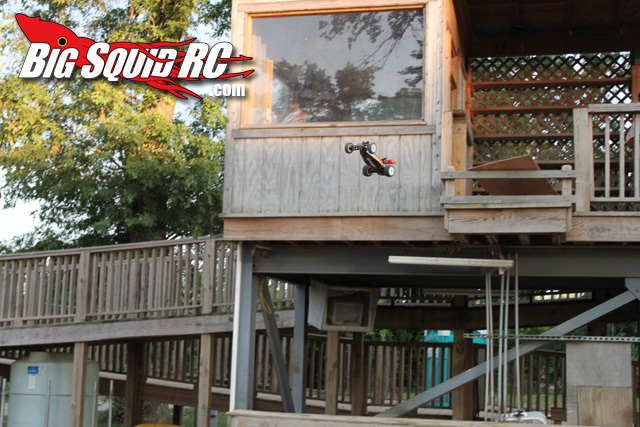 Don’t forget to check out the Electrix Ruckus Review we posted recently also!